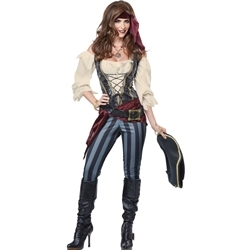 The brazen buccaneer adult costume can be used to create a female pirate, buccaneer, or privateer for Halloween or a pirate themed masquerade costume party. The brazen buccaneer adult costume is colored as pictured. Costume includes vest with attached shirt, pants, belt with buckle, hip sash, head tie, and hat. 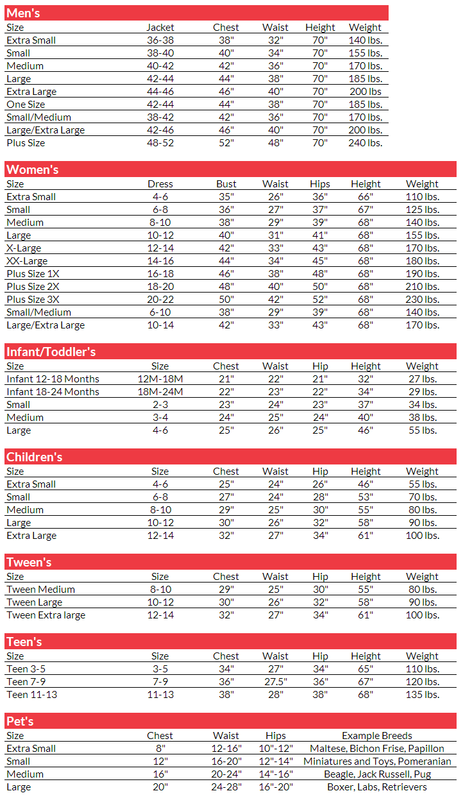 Costume is available in adult women's extra small, small, medium, large, or extra large. Add a pirate eye patch, pirate themed jewelry, and either a pirate cutlass or blunderbuss pirate pistol to complete the look.